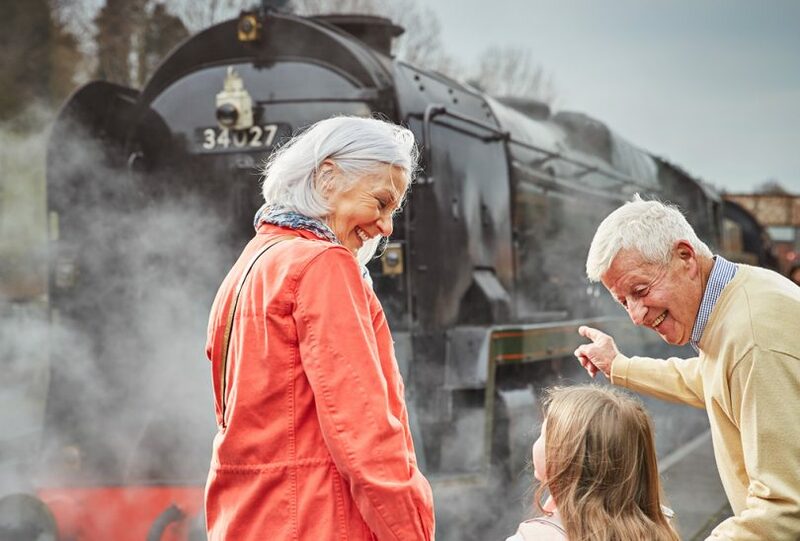 Visitors can leave the hustle and bustle of modern life behind and board one of the SVR’s majestic steam locomotives for an exhilarating journey through the beautiful Severn Valley in springtime. Services will run every day throughout the Easter holidays from April 13th – 28th, stopping off at each of the SVR’s six, beautifully-restored, historic stations along the way. Its first Easter holidays in operation, the newly-completed Bridgnorth Refreshment Room will be serving up a range of freshly-prepared food and drink, offering the perfect place to relax, refuel and watch the trains steam in. Those starting their day at Bridgnorth will also be able to take advantage of a brand new, larger car park. An ideal place to break the journey, the fascinating Engine House Visitor Centre at Highley is home to a wealth of interactive exhibits. Visitors can get hands-on with history on the footplate of a full-size steam locomotive, sort the mail in the travelling post office and admire the SVR’s reserve steam engine collection. New to the venue this Easter is No. 7 ‘Typhoon’, a narrow gauge locomotive (one-third size), now proudly on display alongside the much larger, distinctive No. 600 ‘Gordon’ and No. 7819 ‘Hinton Manor’ which has just returned to the SVR after 11 years on display in Swindon. The Engine House will also play host to a range of family-friendly activities, from 11am – 3pm on April 15th – 22nd. Superhero Training School, interactive storytelling and Create your Own Hero T-shirt workshops are all on offer. The Engine House Café, with its terrace overlooking the line, will be offering a range of tasty treats for the whole family, and the SVR’s much-loved award-winning pubs – the Railwayman’s Arms at Bridgnorth and the King & Castle at Kidderminster are a great place to sample fresh local food and drink. For more information about the Severn Valley Railway or to book tickets, see www.svr.co.uk or call 01562 757900. For more news and events, see the Severn Valley Railway Official Site or Families pages on Facebook.